Title: 'Veteris et Novae Britanniae Descriptio.' By Phlip Cluver, 1694. 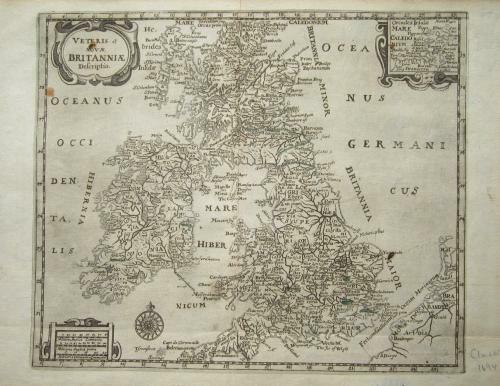 A very interesting and unusual map of the ancient and modern United Kingdom and Ireland, with an inset of the Orkney Islands. Philipp Clüver (1580 – 1622) was an early modern geographer and historian from Germany.